The internet is now central to most businesses’ communications strategies, and the main platform that companies use to present themselves to customers and investors. Now, with the emergence of VoIP, the cord is also being cut on the old-style landlines. Using the broadband connection rather than the old analogue circuit switching system has numerous advantages for businesses of all sizes. Not only are call charges either non-existent or at the very least considerably cheaper, VoIP also offers a range of benefits and additional features that can help to streamline a business’ data management system. But landlines and PBX systems have been a mainstay of business communications for generations; can VoIP really compete with such a tried and trusted technology? Is VoIP truly capable of becoming the leading technology in business telephony systems? As always in business, it’s essential to be fully informed in order to make an educated comparison on any change in your company, particularly one that could have a profound effect on its ongoing costs. So, here are some of the key differentials between landline and VoIP systems, with a particular emphasis on how they compare when it comes to meeting the needs of small-to-medium businesses. In the past, the sound quality of a typical VoIP telephone conversation was much poorer than that of a standard landline. This was because of the amount of data being transmitted and the nature of the transmission being sent in packets, rather than an open connection as with analogue phones. Recent years have seen huge advances in the technology being deployed in VoIP transmissions, and there is now hardly any difference at all, if any, in the sound quality of VoIP and landline phones. A PBX landline system comes with many additional features that make conducting business and dealing with customers easier and more manageable: caller ID, voicemail, call forwarding, call blocking, three-way calling, on-hold music and call waiting to name just a few. The good news is that all of these features can come with a VoIP system as well. Furthermore, VoIP is able to offer a great many other features that are unique to an internet-based system. Not only can staff make and receive calls on their computer, but information about that call can be seamlessly integrated with the content management system. Plus, VoIP is able to offer remote working, conferencing and mobile integration as well. VoIP is particularly attractive for businesses that operate on more than site. It can unify different locations and provide a single point of contact for customers, as well as providing the ability to call between sites at no extra cost – something that cannot be provided by a landline connection. For many people, concern about reliability is what stops them from making the switch from landlines to VoIP. The fact is that VoIP uses the internet, which means that it is reliant on electricity to work. If there’s a power cut, then the phones will go down along with the computer network and the lights and the fridge and everything else. This contrasts with analogue phones, which don’t need to electricity to function at the most basic level. Another to remember about VoIP is that it is dependent on there being adequate bandwidth. The more simultaneous users there are, the more bandwidth the system will need to operate. Most businesses with a broadband connection will not find this to be a problem, but it’s important to check that your internet connection is able to sustain your telephony requirements. Landlines aren’t as expensive as they used to be, and international call rates are more affordable, however, when it comes to cost, there’s no denying that VoIP has a clear advantage. If you are calling from computer to computer, there is no charge for an individual call: the only expense is the cost of the broadband connection. There are some charges connected with making calls from a VoIP system to landline phones, and there is also the expense to consider of either setting up a VoIP-connected PBX system or using a hosted service, as well as any hardware (adapters etc.) that may need to be bought. 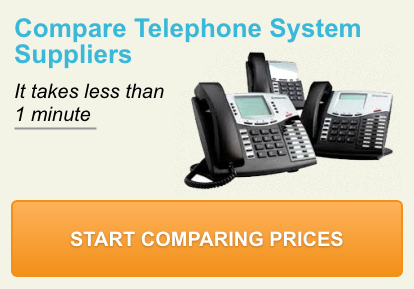 Having weighed up the pros and cons of VoIP vs landlines, the next step is to compare prices from trusted suppliers. By getting multiple quotes from one source, you can be sure that the system and the price you eventually get, will have been the best available offer on the market.